Last month, a pedestrian bridge located at Florida International University unexpectedly collapsed, leading to the tragic deaths of six individuals and the injury of nine more. Although the cause of the collapse is still unknown, reports have surfaced indicating that a few days prior to the accident, an engineer saw cracks appearing in the concrete of the bridge, which at that time was only partially constructed, a fact he later reported to the state. Unfortunately, no follow-up steps were taken. While investigations into the possible negligence of the engineering company that designed the bridge and the firm tasked with construction are conducted, at least one party has filed a civil claim against these entities and is seeking damages for injuries he allegedly sustained while riding his bike near the bridge at the time of the collapse. Although this is seemingly the only case that has been filed at this time, it will most likely not be the last, as at least six families may have standing to file wrongful death claims against the responsible parties if evidence of negligent or reckless conduct is discovered. The individual who has allegedly filed a claim against the bridge engineers is seeking damages to cover injuries he sustained when the bridge collapsed. However, this type of personal injury lawsuit is not the only type of claim available to those affected by the accident, as the surviving relatives of those who lost their lives in the collapse may have standing to file wrongful death claims against the negligent parties. 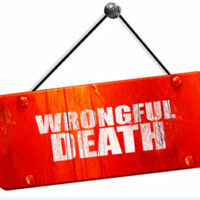 Although wrongful death lawsuits are available to the surviving family members of those who die in accidents caused by another person or entity’s negligence, only certain relatives are actually permitted to file a claim, including: the decedent’s spouse, children, parents, or a sibling who was dependent on the deceased before his or her death. These individuals have the right to file a claim against those who caused their loved one’s death, but must meet the same burden of proof as the decedent would have had to meet if he or she had survived. Successful claimants are eligible to recover damages on their loved one’s behalf, including compensation for the loss of support and services they provided, medical expenses, funeral and burial costs, lost earnings, and loss of companionship, protection, instruction, or guidance. Collecting monetary damages can never compensate a person for the untimely loss of a loved one. However, it can go a long way towards helping surviving family members pay off mounting medical debt, so that they can focus on the grieving process. If you recently lost a loved one in an accident, you could be eligible to receive compensation from the at-fault parties. To learn more, please contact one of the dedicated Fort Lauderdale attorneys at Boone & Davis by calling 954-566-9919 or by sending us an online message with a brief description of your case.